It's Go time at Google for the past few weeks and today appears to be an even more special one. 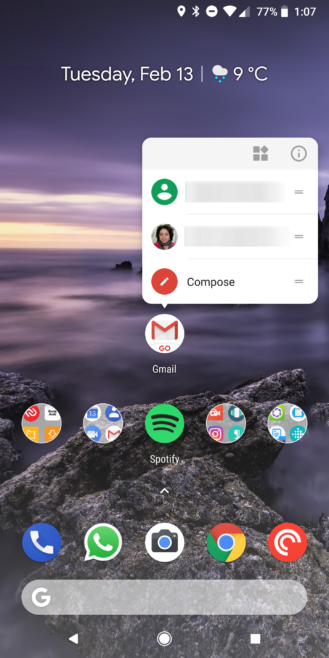 We've seen the YouTube Go app get updated with double tap to seek controls and now Gmail Go has made its way onto the Play Store. We were able to get our hands on the APK file so I tested it out on my Pixel 2 XL (it requires Android 8.1 and above, as Go devices are based on Android 8.1). The light version provides nearly the same experience as the regular Gmail app, but the APK size is much smaller: 9.51MB vs 20.66MB. 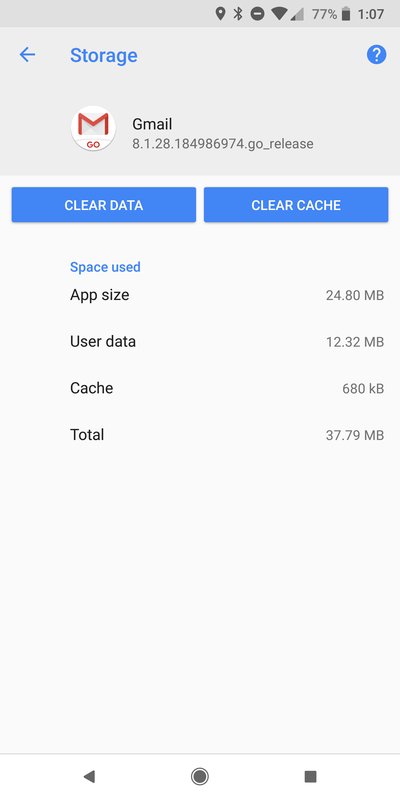 The size goes up to 24.80 when installed, as opposed to 47.28MB for the regular app, so still nearly half. 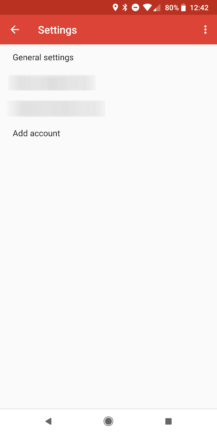 Once installed and open, the onboarding is pretty straightforward: a welcoming screen and an account selection one where your existing email addresses are imported and you can add more if you want. 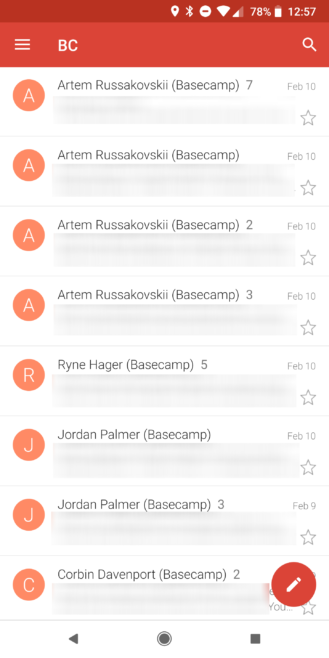 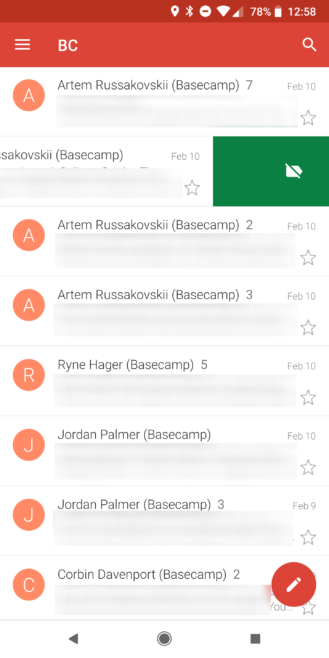 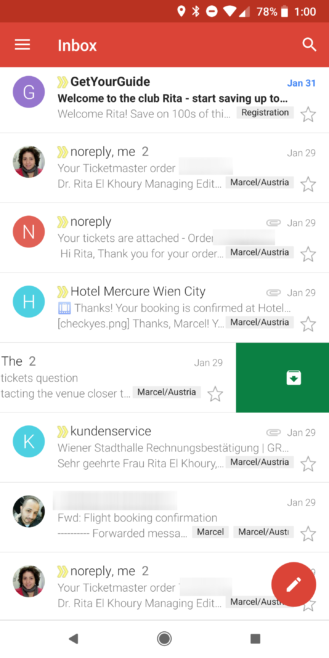 The interface looks almost exactly like the main app: a list of emails that you can tap and hold to select, a red title bar, a search icon on the top right, and a side menu with exactly the same options. The only visual differences with the main Gmail app is that the title bar isn't floating on top of the app and the account picker doesn't display your profile photo and background image. 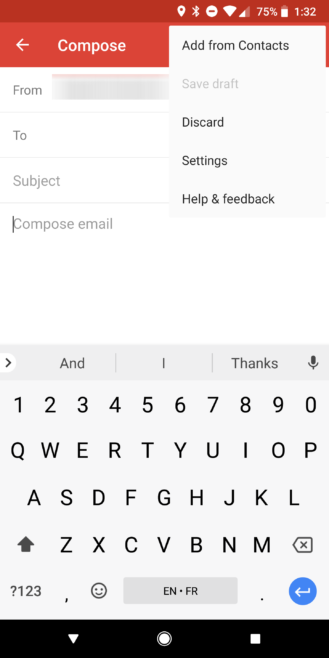 Beside multi-select, swipe gestures are still supported in this lighter version and they will archive/delete a message from the main inbox, depending on which one you set, and remove the label when in a label view. 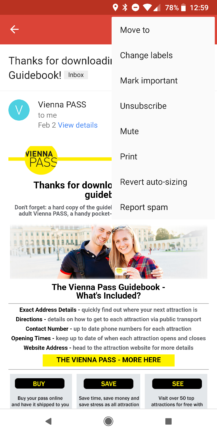 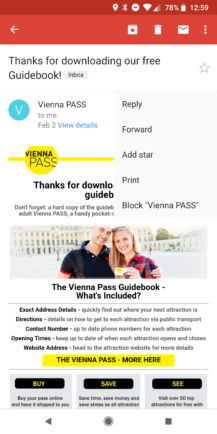 Opening an email loads the entire contents, including images, and gives the same options as the regular app, including reporting as spam, unsubscribing, marking as important, and moving to another label. 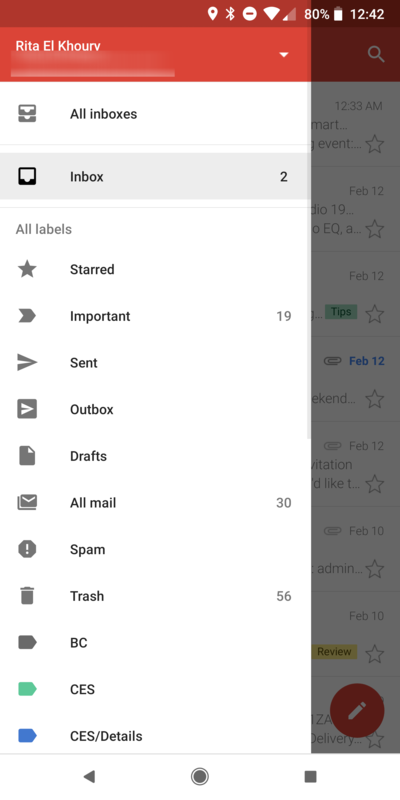 Even tapping the label icon next to the email's title shows the label selector like in the main app. 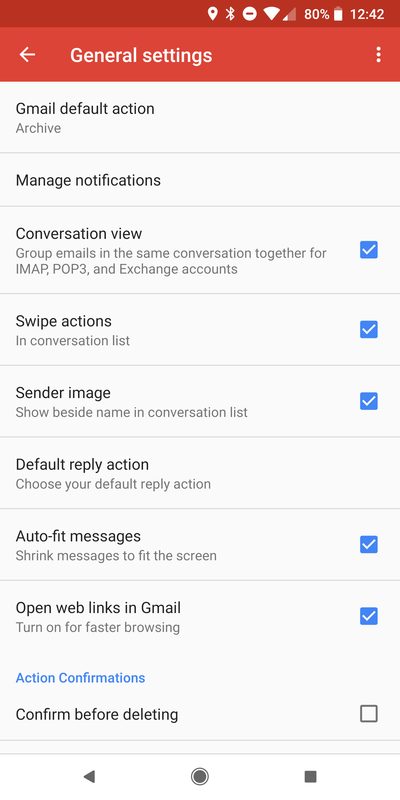 The settings are also nearly the same, with a few options renamed here and there but nothing essentially missing. 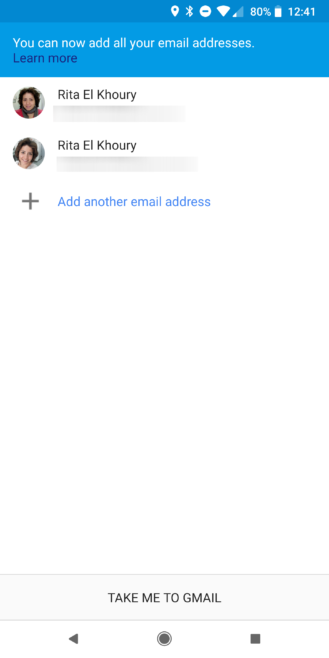 Composing a message keeps the options to add contacts from your address book. 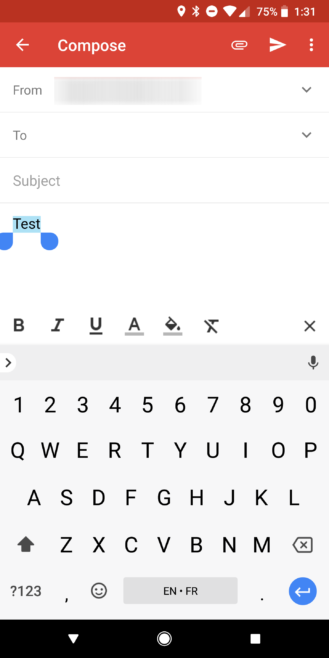 I would have expected formatting to not be implemented here, but turns out it is and it works as intended. 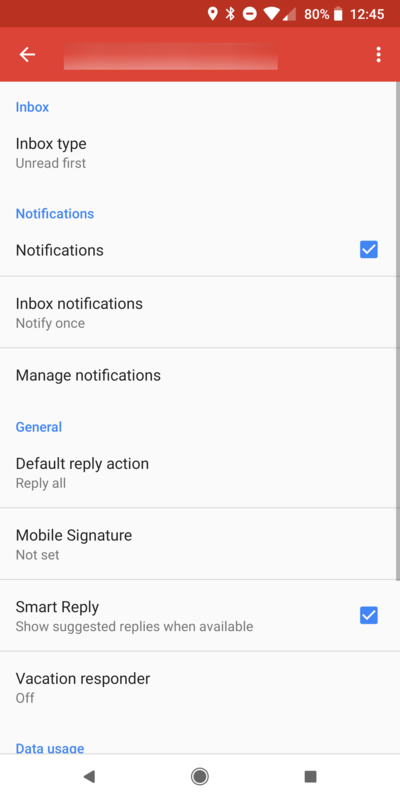 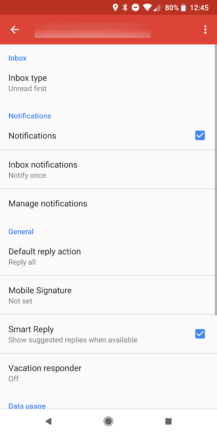 And finally, Gmail Go has launcher app shortcuts for jumping straight to any of your account inboxes or composing a message. 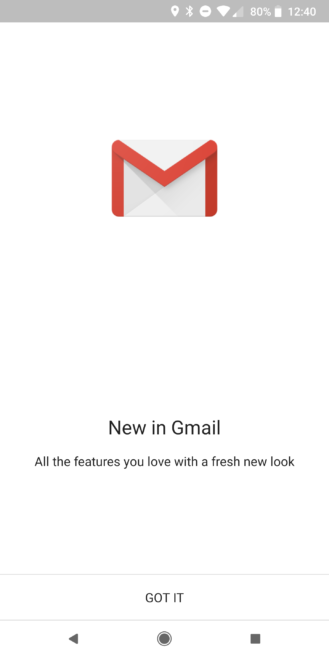 All of these similarities honestly make you question why the main Gmail app needs to be double the size. The initial app release version is 8.1.28, same as the regular app probably to avoid version disparity. 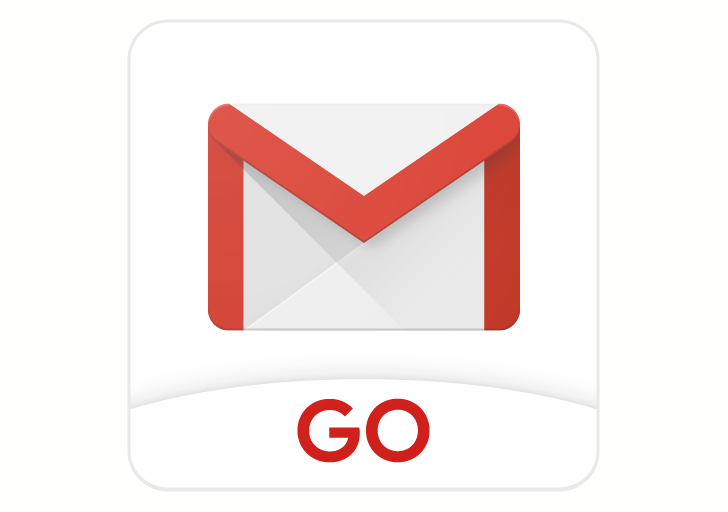 To download Gmail Go from the Play Store and try it for yourself, you need to have an Android Go phone... which do not exist yet. So instead, if you're on Android 8.1 and above, you can grab the file manually from APK Mirror and test it out.